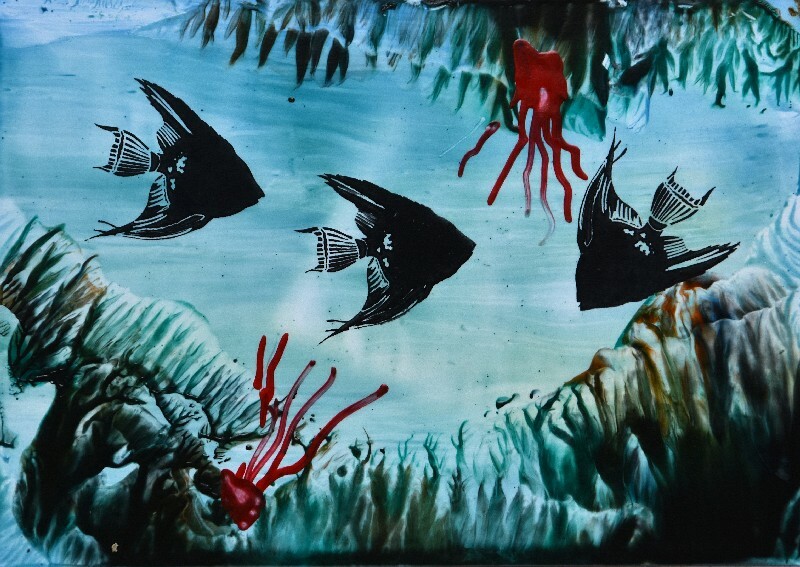 The angel fish wood block rubber stamp image brings a wonderful under-water world into your stamping work with encaustic art. This little image can be stamped several times within one piece of work. It lends itself well to over-colouring with wax using the stylus or stylus pro too. 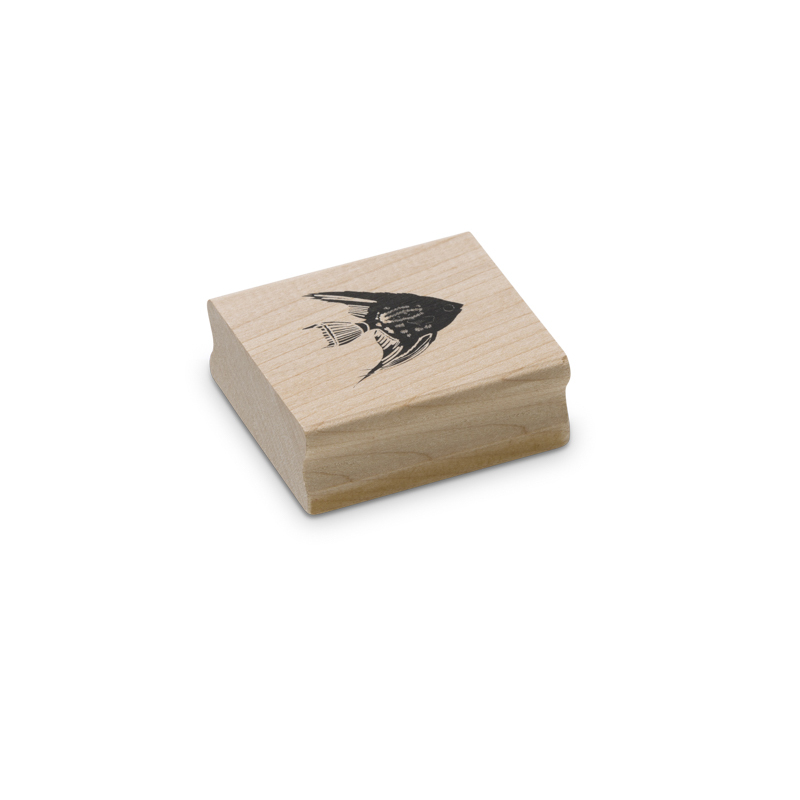 That will then hide the stamp ink and turn the fish into a colourful creation within the image.